The Pumphouse Theatres Society is a registered charity with the Canada Revenue Agency – Charities Directorate (B/N 11910 6292 RR0001). Charitable Tax receipts are issued for donations in accordance with CRA regulations. The Pumphouse Theatre is an arts hub and arts incubator where tens of thousands of people each year come through our doors and have unforgettable experiences and many emerging and professional artists have opportunity to demonstrate or develop their craft. Since 1972, The Pumphouse Theatre has provided heavily subsidized and high-quality rental services to performing arts groups in Calgary. 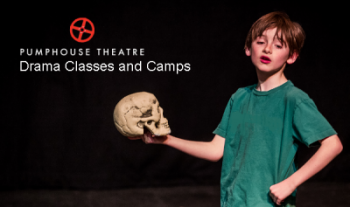 In addition, we have been operating Drama Day Camps for youth for over 30 years. Become a member! Please fill out this form and send it back via email, mail, or in person to admin@pumphousetheatre.ca. Volunteer for PTS – We have a number of volunteer opportunities throughout the year and we’d love your help. Please fill out this form and we will be in contact with you about the next volunteer opportunity! Ask if your workplace has a donation matching program. Planned Giving – Leave a lasting legacy through a Bequest in your will, a gift of assets, annuities, and trusts or as a life insurance beneficiary. Talk to your legal counsel to start planning today.